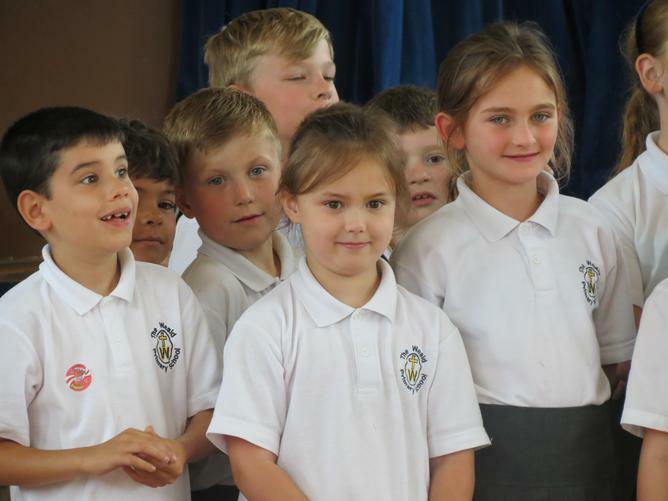 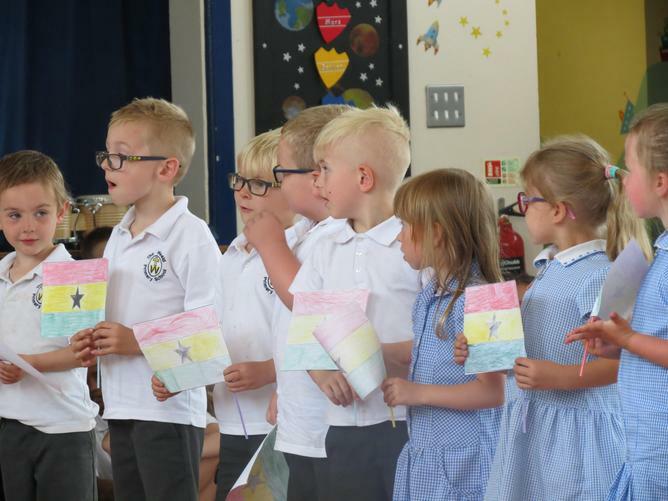 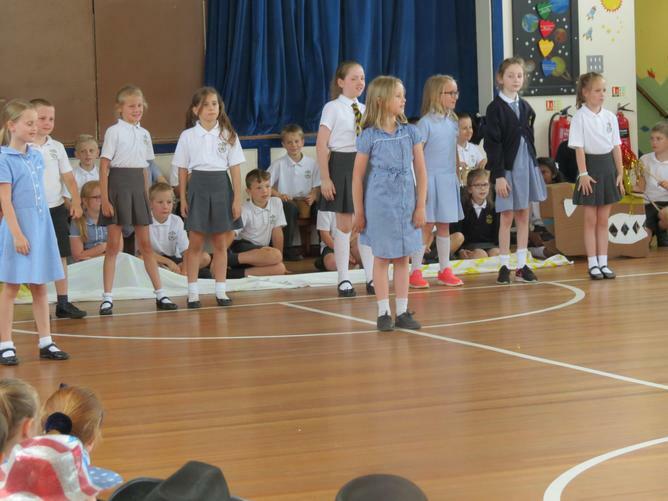 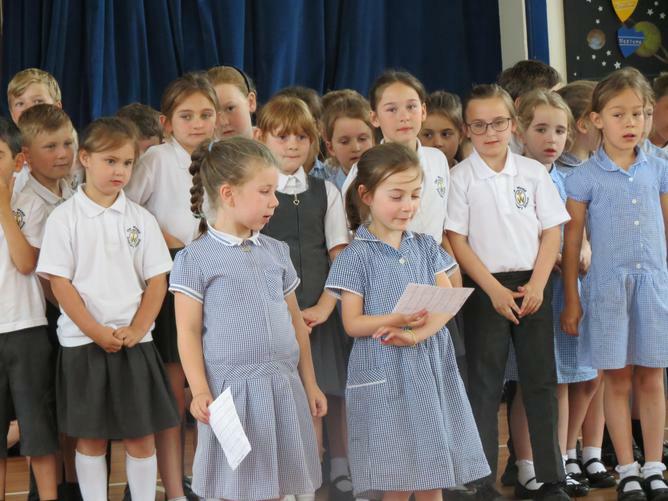 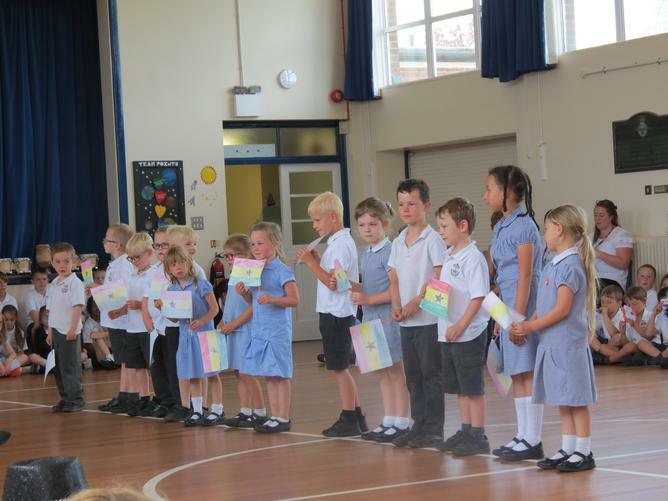 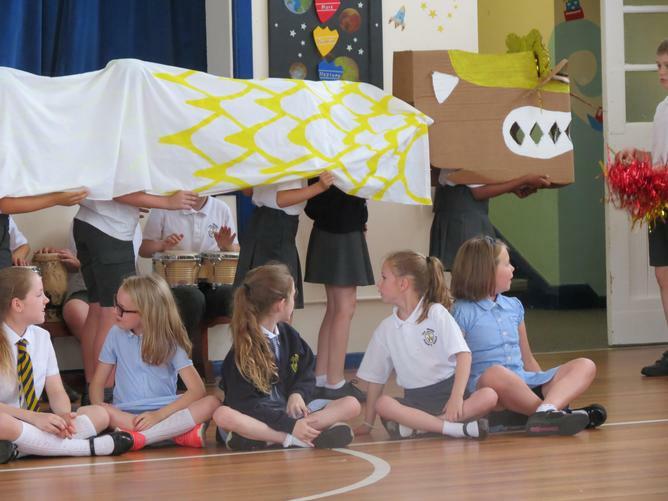 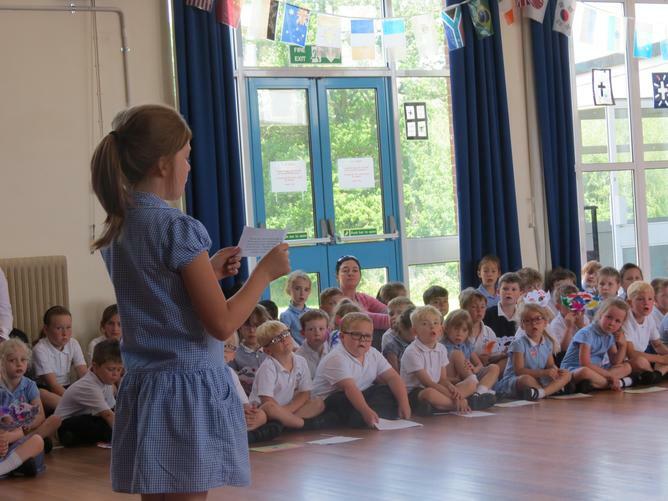 To wrap up the special curriculum week, 'Our Wonderful World' with a bang, we had an assembly where each year group shared something they had learned. 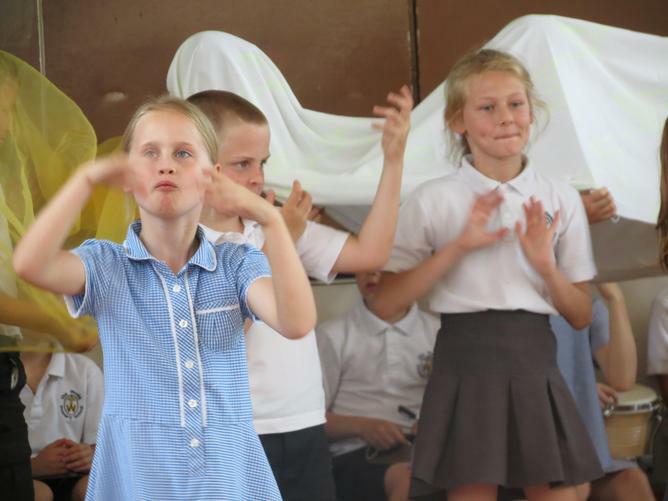 As you can see from the photos there was a varied mix of learning from rhymes, singing, dance, and foreign languages! 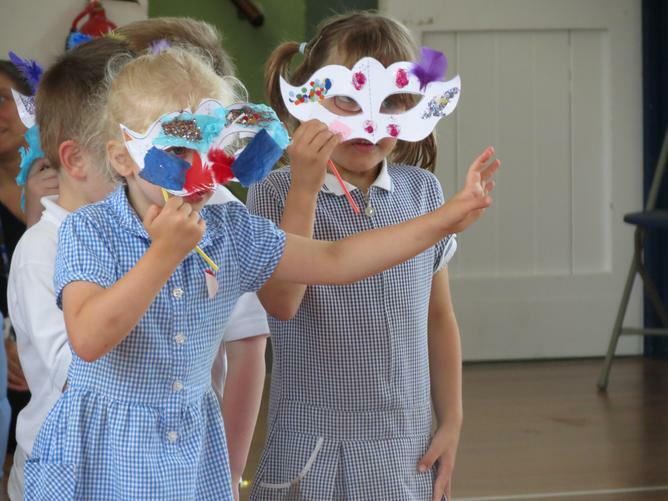 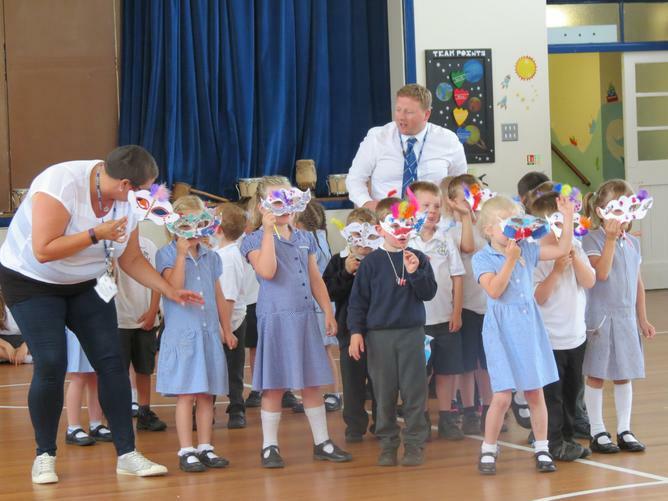 Reception St Paul bravely performed a carnival dance from Brazil with big smiles and happy feet. 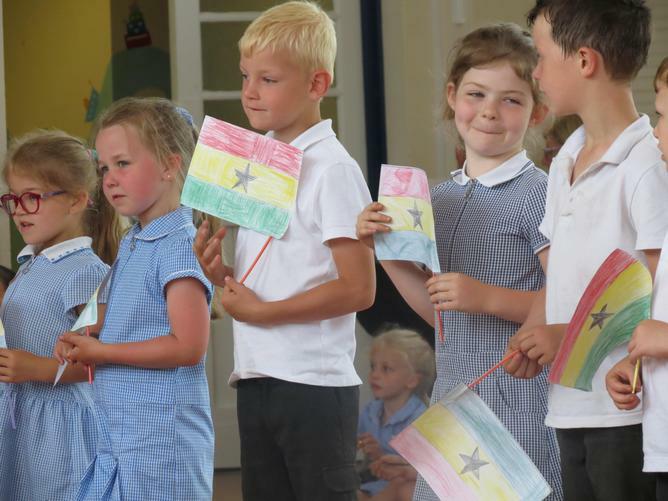 Year 1, in big confident voices, told us all about the children in Ghana who have to walk to fetch water. 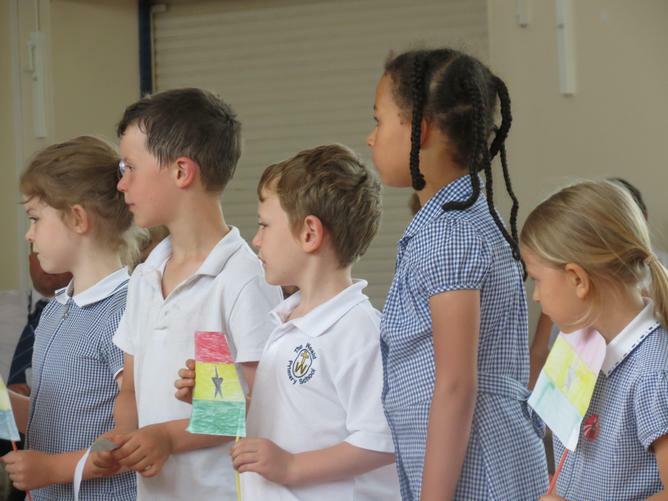 They told us that they had tried to walk as far while carrying a heavy pack to see how it would feel. 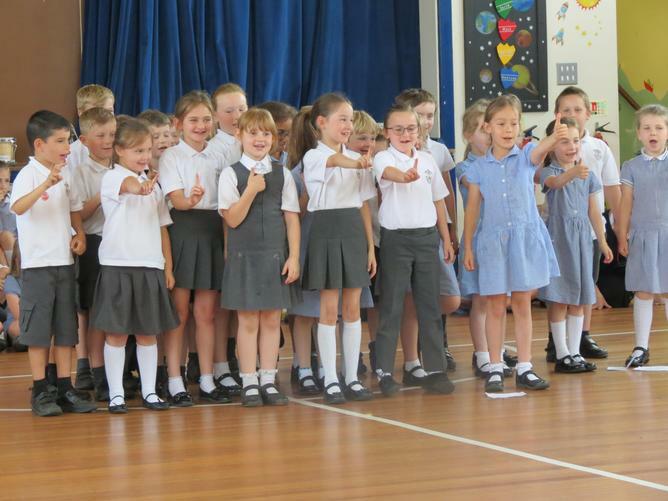 Year 2 beautifully performed some nursery rhymes in Africaans and asked us to work out what they were. 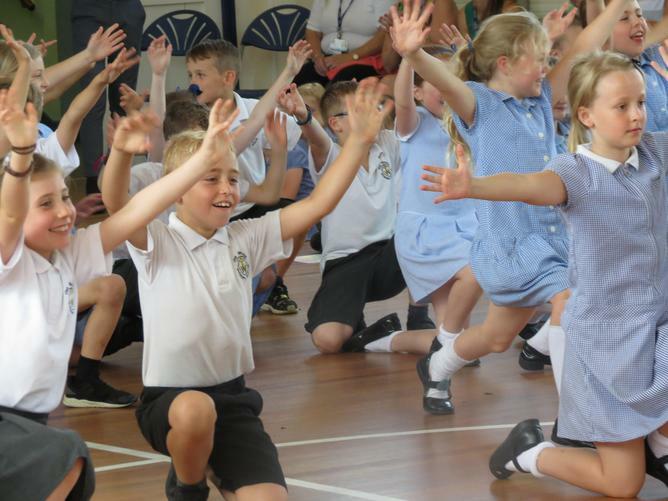 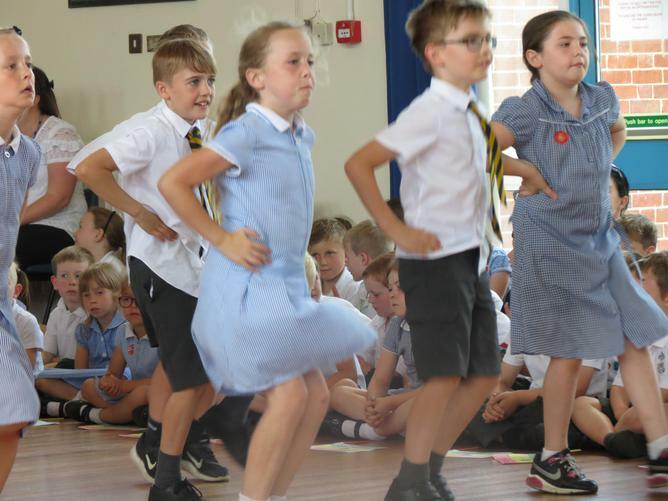 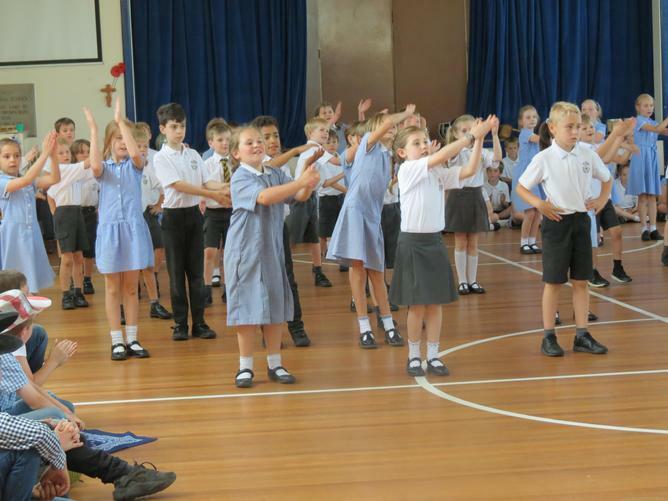 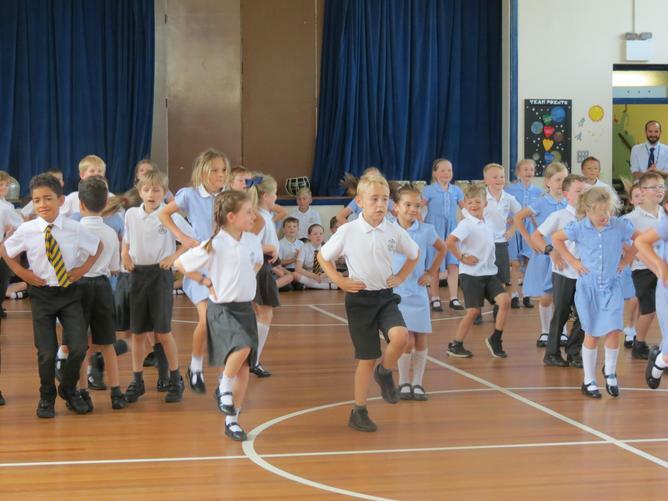 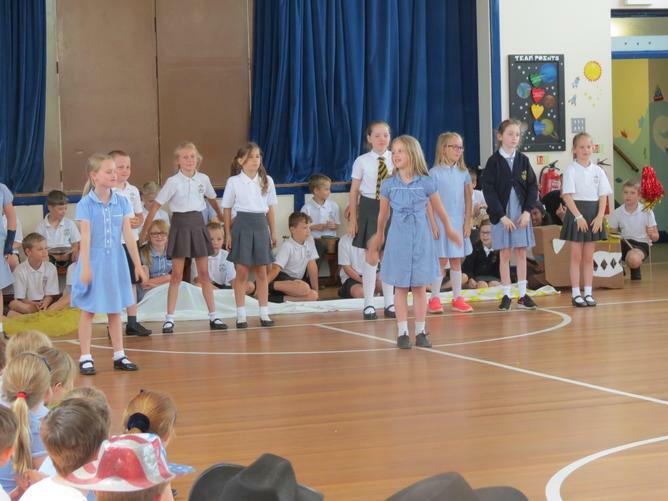 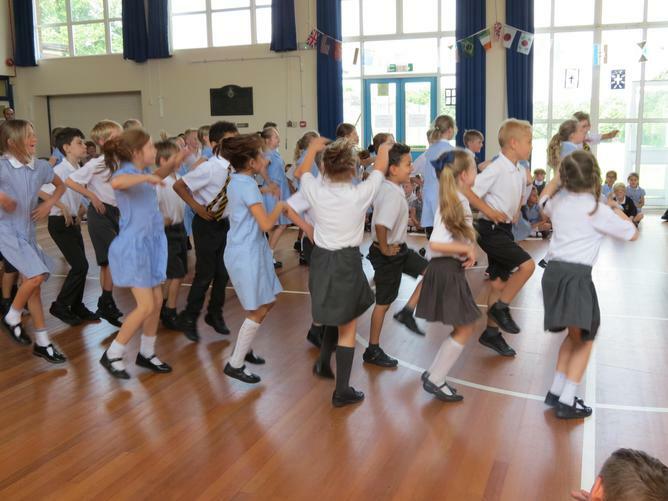 Year 3 did a very skillful and energetic rendition of an Italian Tarantella which got everyone clapping along. 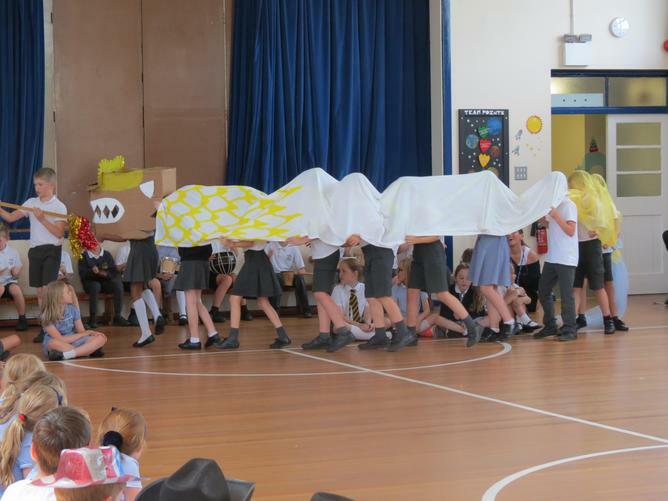 Year 4 executed the Chinese Dragon dance with skill, and played traditional Chinese instruments. 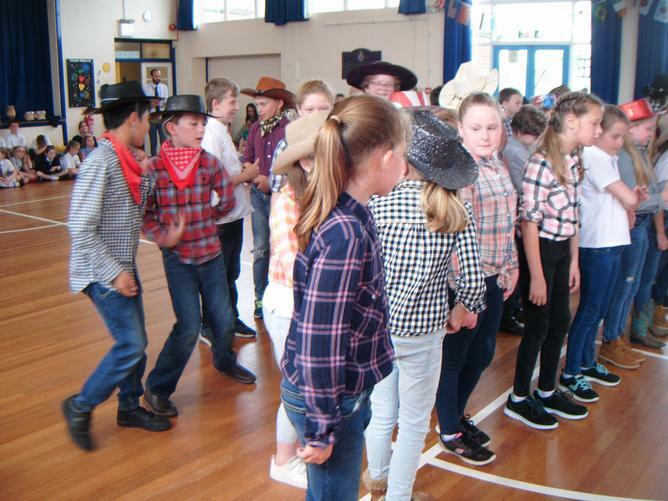 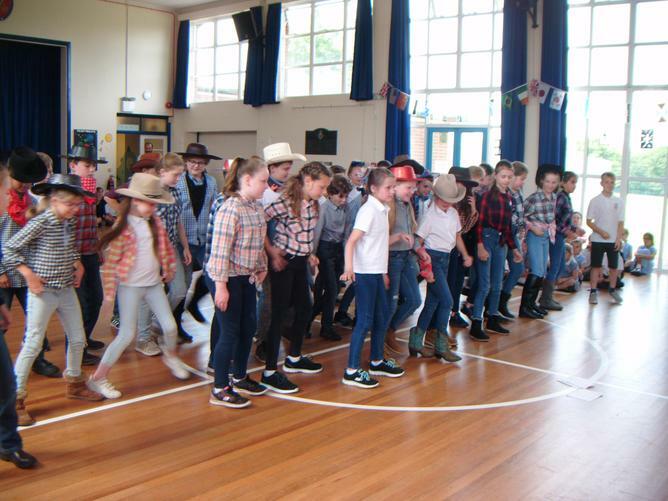 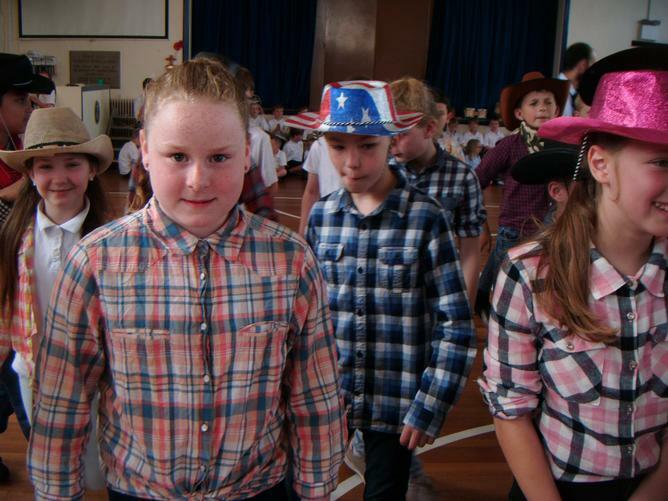 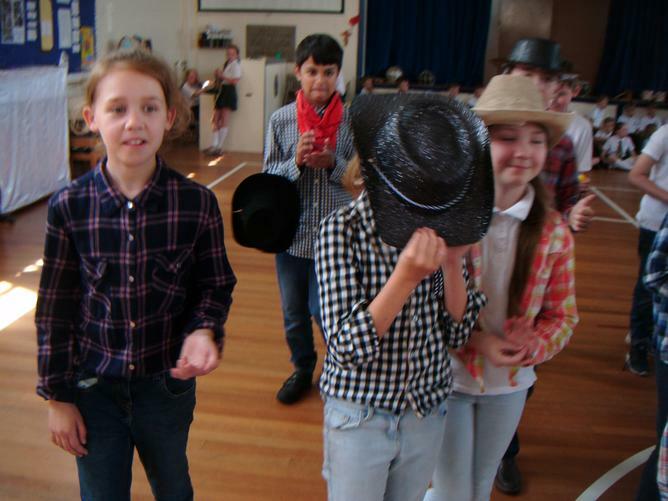 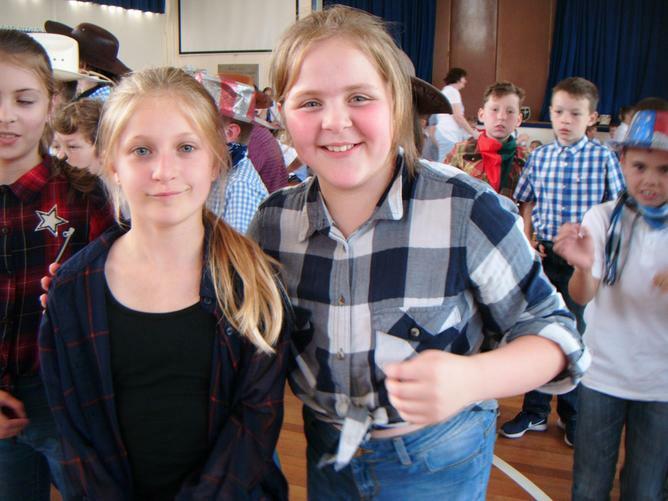 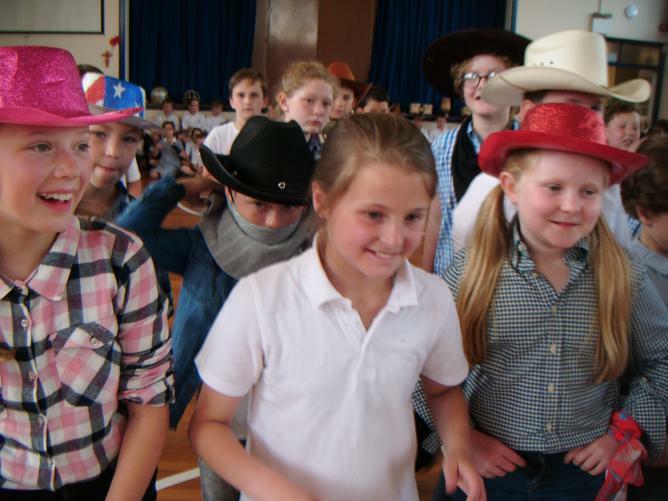 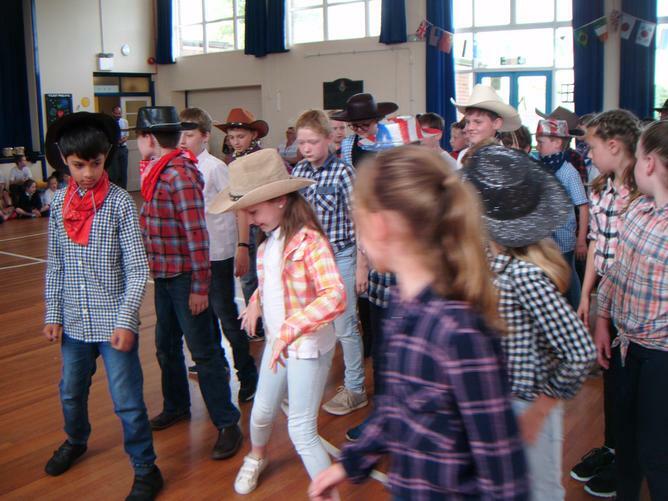 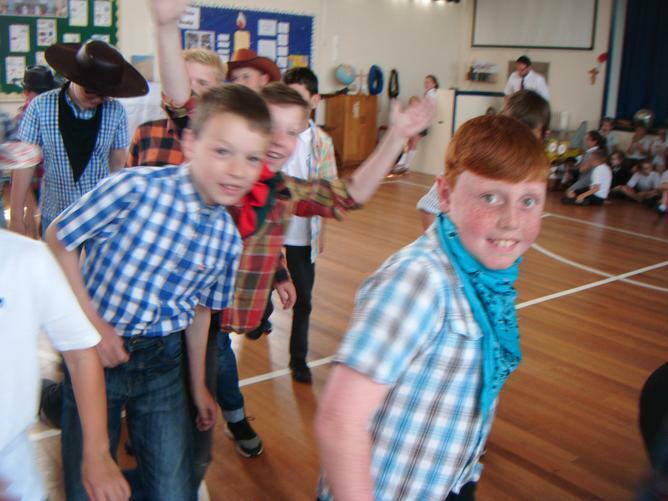 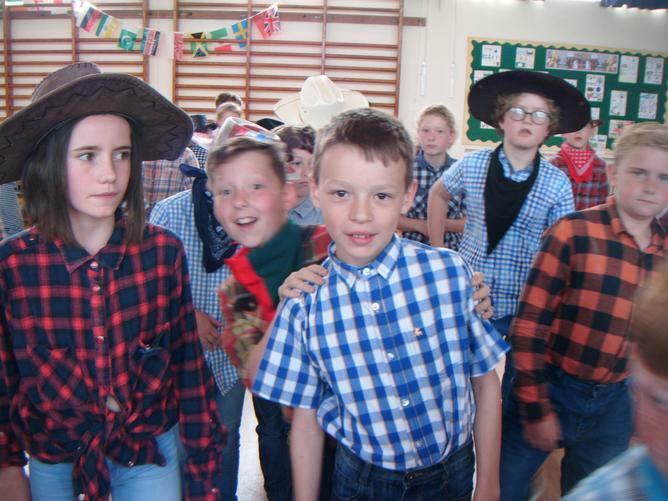 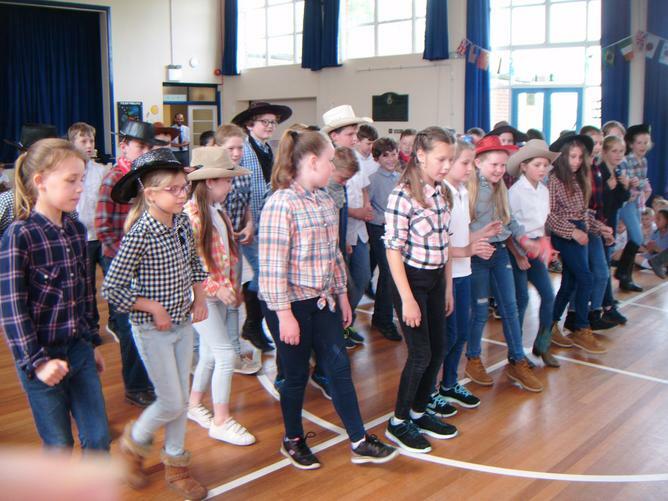 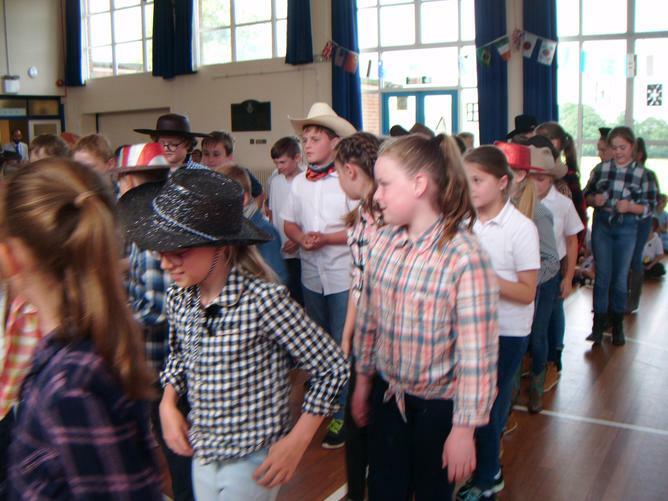 Year 5 line pleaded for us not to break their 'achy breaky hearts' while line dancing in their cowboy outfits. 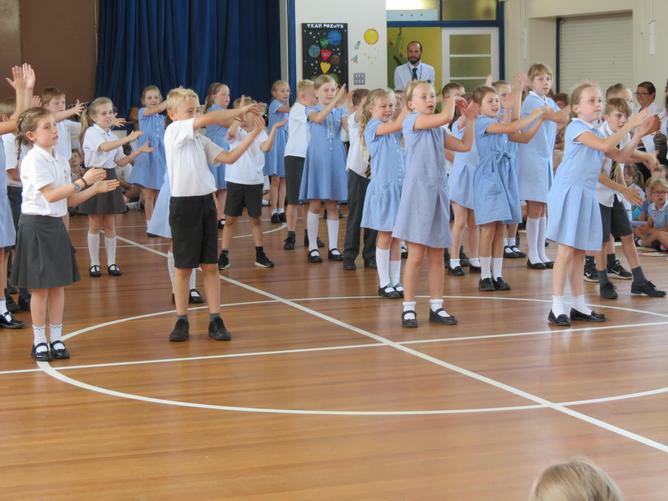 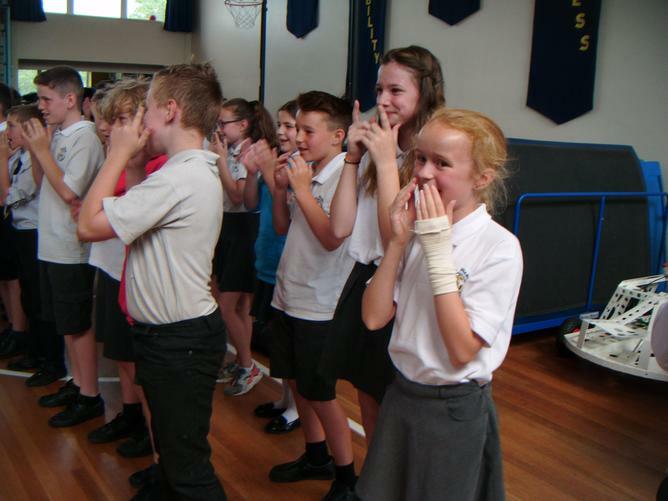 And finally Year 6 did a highly polished version of 'Heads, shoulders knees and toes' in Japanese. 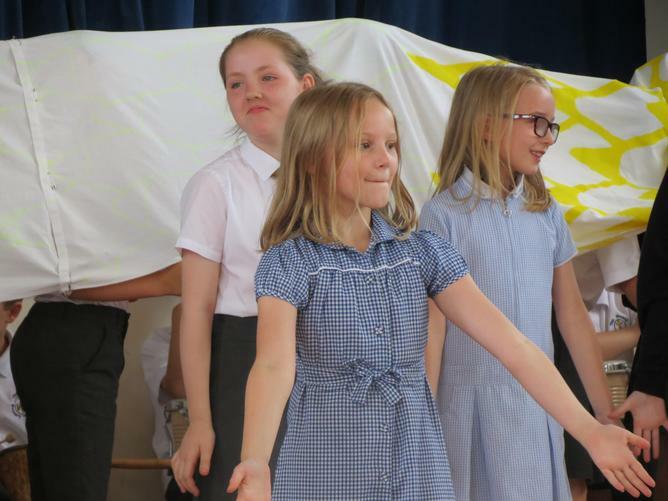 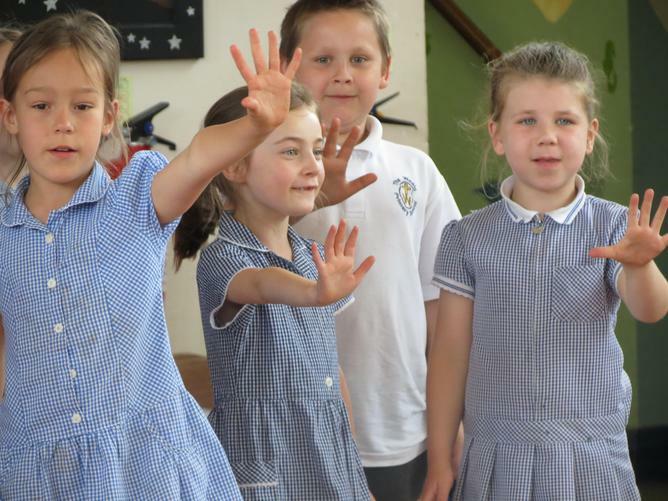 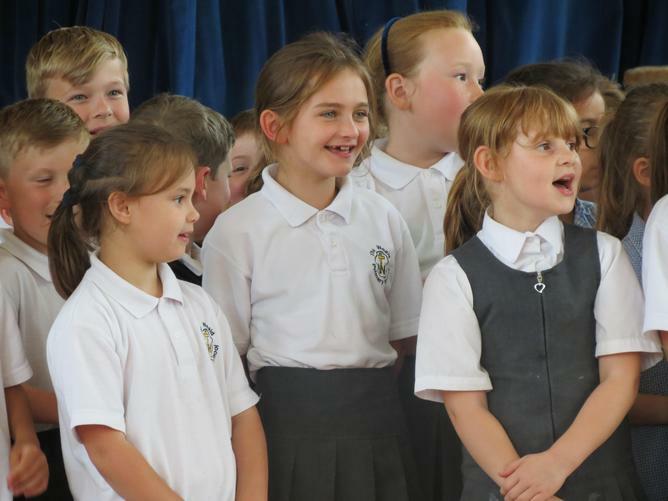 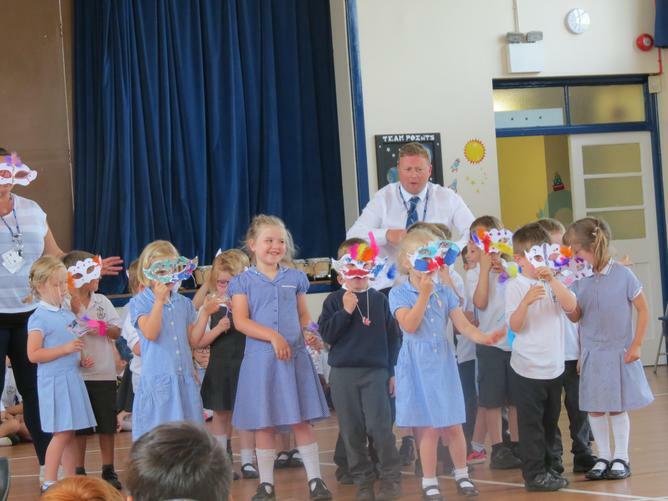 All the children were confident and performed wonderfully. 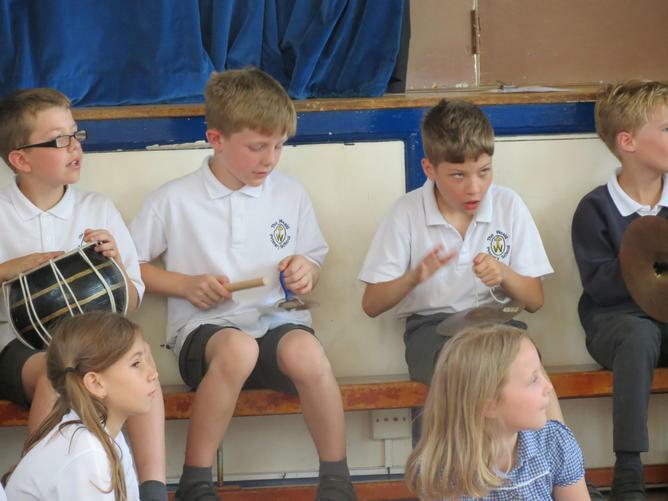 Thank you children for practicing hard and giving us a wonderful assembly.